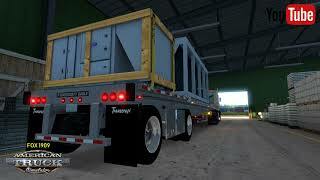 Ivan (hardtruckisthebest): Suspension/rear axles, loads, gladhands all from his Utility Reefer. And Chris for his incredibly awesome Alcoa rims. 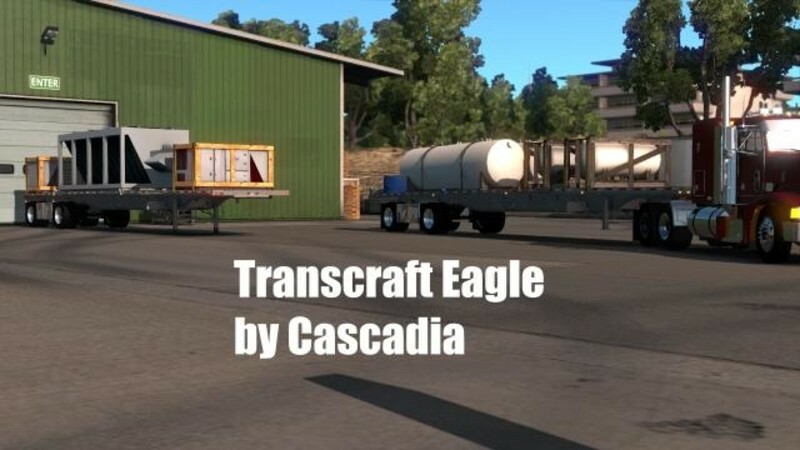 This is a late 1990’s or possibly early 2000’s Transcraft Eagle Super Beam spread axle flatbed trailer. I made this so that there was a Transcraft just like the one we’ve used for many years that could compete with what we currently have for flatbeds today. For some reason they’re my favorite flatbeds, so I had to make myself one. That being said, this is the first and possibly only publicly released trailer mod I’ll do for this game. It’s also my first time fully scratch making a body and frame for a trailer. I didn’t want to bother with the suspension though, so I just borrowed Ivan’s. 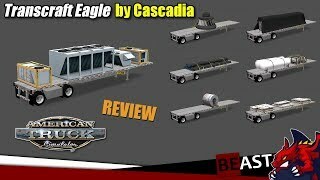 This trailer was done well from the get go, so props to Cascadia for that!